A big thank you to everyone who came out to Rock Sarcoma Out at the Open Stage Club in Coral Gables, FL in support of the SebastianStrong Foundation & the Manny Alvarez Foundation. The funds you helped raise will go towards research to improve outcomes for childhood cancer patients. Thank you to ALL the amazing bands who came out & shared their talents, & CCNN for producing this great video. Check it out HERE. 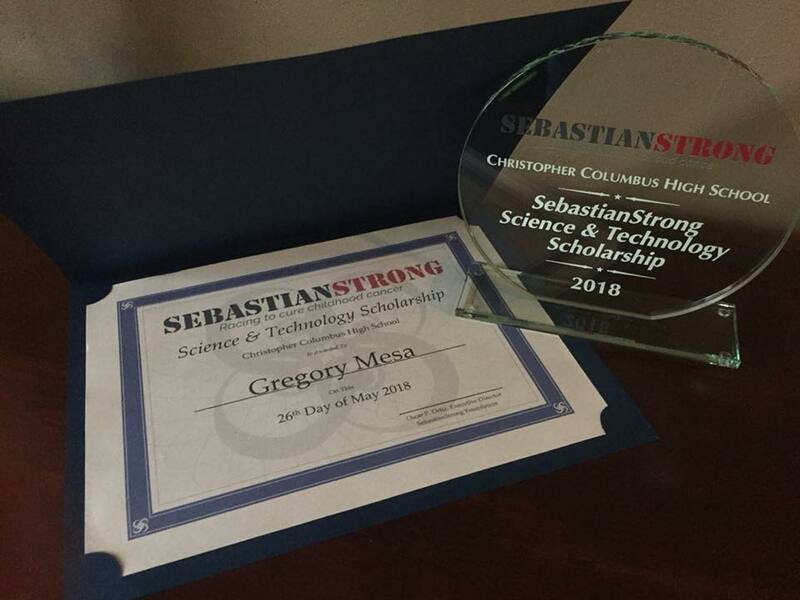 Congratulations to Gregory Mesa (Christopher Columbus High School) and Nicolas Sosa (Belen Jesuit Preparatory School) for being the first recipients of the SebastianStrong Science & Technology Scholarship. These young men exhibit strong leadership skills, a desire to serve others, and are pursuing degrees in the medical field. On the morning of June 9th, Oscar Ortiz, Executive Director of the SebastianStrong Foundation & Sebastian's Father, set off on a 160-mile, 7-day journey by sea to raise awareness & critically needed funding for childhood cancer research. Alongside 15 other kayakers, he faced thunderstorms, strong currents, wind, waves, and a scorching sun. While the journey produced blisters, sunburns, and aching muscles, there were also shared smiles, stories, and tears, as these amazing men & women spoke of the loved ones they paddled for. Every year the Castaways Against Cancer kayak for a cure and to honor those who have fought the fight. For the second year in a row, SebastianStrong Foundation has teamed up with the Castaways to expand their fundraising efforts to include a greater focus on childhood cancer specifically. Thank you to all who supported this campaign. For those who didn't have the opportunity - it's not too late to help us reach our $75,000 goal. Want to see a quick recap of the journey? Click HERE. 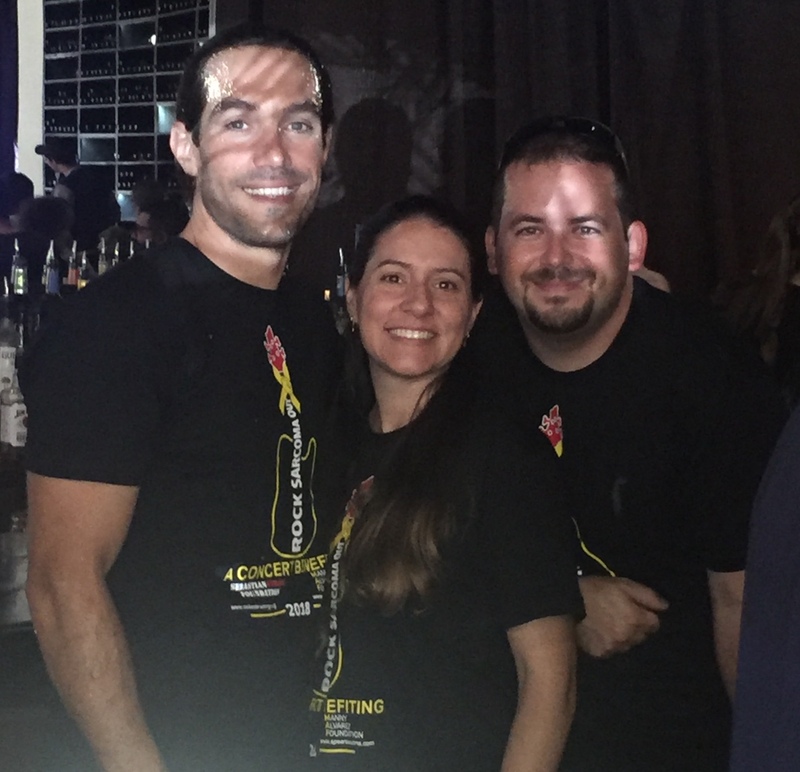 ﻿If you’d like to host a fundraiser to support the SebastianStrong Foundation through your place of business or school OR if you'd like to fundraise personally through our crowd-funding pages (EverydayHero) please reach out to Rose Ortiz at 305-815-7631 or rose@sebastianstrong.org. Many of our supporters have also "donated their birthdays" to SebastianStrong on Facebook - THANK YOU. If you'd like to do so as well, but aren't sure how - please reach out to me & I'd be happy to walk you through the set-up. SebastianStrong is on Amazon!!! Please support us by doing all your regular Amazon shopping through AmazonSmile. The shopping experience is identical to Amazon with the added benefit that AmazonSmile Foundation will donate a percentage of the price of eligible purchases to SebastianStrong Foundation once you choose us as your nonprofit of choice. Thanks for continuing to help us in the race to cure childhood cancer. Based in Miami, Florida, SebastianStrong Foundation is a registered 501(c)(3) charity that honors the life of Sebastian “Sebs” Ortiz (2000-2016) by increasing awareness of childhood cancer and raising money to fund research for less toxic, more targeted childhood cancer cures. This mission was born from the example of STRENGTH set forth by Sebs during his courageous 14-month battle with rhabdomyosarcoma. Since his passing, the Foundation bearing his name has bolstered the support of donors from across the country and raised over $400,000 in its first year. SebastianStrong has awarded four grants to date for pediatric cancer research. 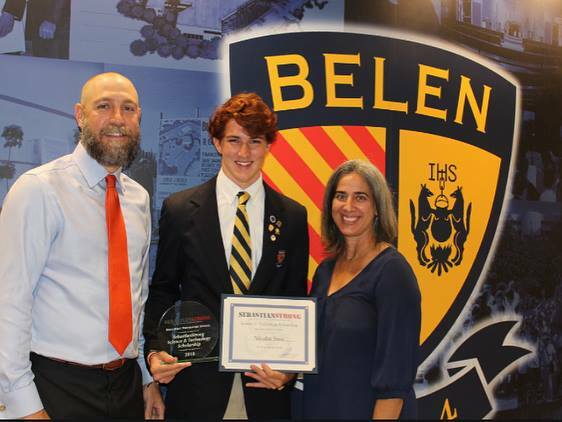 Additionally, in order to further its mission of increasing awareness, this year SebastianStrong provided scholarships to talented high school seniors pursuing STEM careers. For more information on SebastianStrong Foundation, visit www.SebastianStrong.org. SebastianStrong Foundation’s grant of $100,000 to Sylvester Cancer Center at University of Miami will fund a trial to test the efficacy and safety of adding a drug called Disulfiram to existing chemotherapies in an attempt to overcome the resistance to chemotherapy seen in sarcomas (cancers that occur in connective tissues and bones). Pediatric sarcomas are notoriously fatal because, while current chemotherapy can kill the majority of sarcoma cells, some cancer cells often survive chemo and give rise to new cancers (relapses) or spread throughout the body (metastasis). Metastasis and relapses are the major cause of death from pediatric bone and muscle tumors. Current chemotherapies are 20, even 40+ years old, so attempts to make them work better and be less toxic are important while other cures are being discovered. Why Disulfiram? Sarcoma cells that survive chemotherapy sometimes express high levels of an enzyme called Aldehyde Dehydrogenase (ALDH) and have high potential to cause relapses and metastasis and they have proven to be resistant to existing chemotherapy. The drug Disulfiram, used safely for over 50 years in the treatment of alcoholism, blocks ALDH and laboratory tests have shown that Disulfiram makes sarcoma cells more sensitive to chemotherapy, offering the potential for cures that are more reliable and less toxic to children with sarcomas. Chemotherapy will be around for a long time and SebastianStrong feels that it is important to help researchers quickly find ways to use lower doses of chemotherapy, make them more effective, and less toxic to children. If successful, the hope is that this trial, being directed by Dr. Matteo Trucco, Assistant Professor of Clinical Pediatrics at the University of Miami, will one day lead to dropping some of the drugs being used today, at least reducing their dosages. For questions, please contact James McAllister, Chairman of the Medical Advisory Board and member of the SebastianStrong Board of Directors: jim@sebastianstrong.org. The Foundation’s Board of Directors established a Medical Advisory Board to be composed of reputable cancer researchers who are physicians treating pediatric cancer. Facilitating the MAB’s objectives is Jim McAllister of Asheville, NC, who also serves on the Foundation’s Board. Jim brings his 35+ years of corporate management experience to help make certain that every dollar donated to SebastianStrong is used to increase awareness and find less toxic, more targeted cures for childhood cancers. Please direct questions to him at jim@sebastianstrong.org. Dr. David Loeb graduated from Johns Hopkins University and then moved to New York and obtained his MD and PhD from the Columbia University College of Physicians and Surgeons. He returned to Johns Hopkins, where he completed his internship and residency in Pediatrics and his fellowship in Pediatric Hematology and Oncology. He joined the faculty at Johns Hopkins, where he practiced and performed research for 17 years. Dr. Loeb joined the faculty at Children’s Hospital at Montefiore (CHAM), where he serves as Director of Pediatric Hematology, Oncology, and Marrow & Blood Cell Transplantation, in 2017. He is also a member of the Department of Developmental and Molecular Biology at the Albert Einstein College of Medicine. Dr. Loeb is Director of the Sarcoma Program and is a member of the Bone Marrow Transplant Program at CHAM. He also has expertise in the care of children with other solid tumors, with acute myeloid leukemia and in the application of immunotherapy to childhood cancer. Dr. Loeb has an active translational research laboratory focused on understanding bone tumor metastasis. His laboratory developed a clinically relevant mouse model of sarcoma metastasis, and has used this model to perform preclinical testing of novel agents that can interfere with this process. In addition, Dr. Loeb is also studying the role of an enzyme called RNA helicase DDX3 in Ewing's Sarcoma biology, especially how this enzyme affects the repair of damaged DNA. Dr. Loeb is also actively involved in clinical research, including the development of radiopharmaceutical agents for the treatment of bone metastases and the development of a small molecule inhibitor of DDX3. He serves as the Coordinating Physician for an international Phase I study of an immune checkpoint inhibitor for pediatric solid tumors, and he has directed a clinical trial of reduced intensity haploidentical bone marrow transplantation for children with high risk solid tumors. As an offshoot of his laboratory work, Dr. Loeb is involved in the development of biomarkers of metastatic risk and of minimal residual disease in children, adolescents, and young adults with sarcomas. 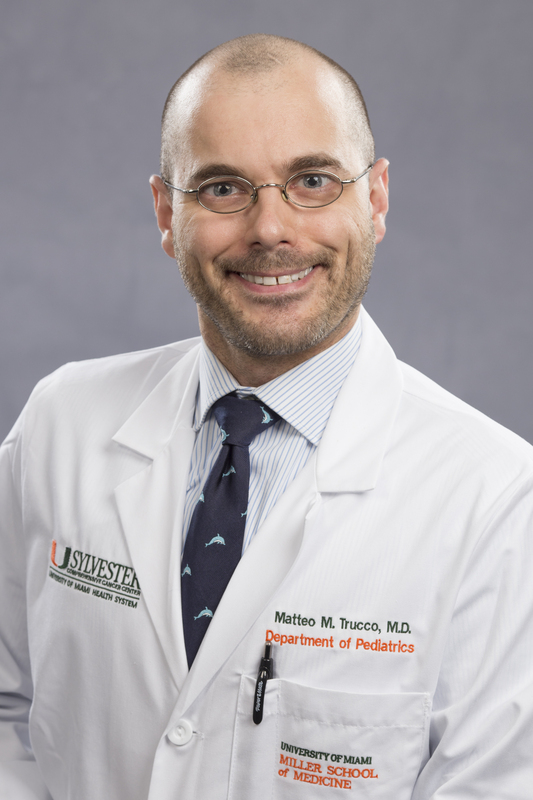 Dr. Matteo Trucco is the Director of the Phase 1 Pediatric Clinical Research Program in Pediatric Hematology/Oncology at the Sylvester Comprehensive Cancer Center at University of Miami-Miller School of Medicine. Dr. Trucco completed his undergraduate training at the University of Pennsylvania with a B.A. in Biology and Philosophy of Science. He graduated at the top of his class from Temple University School of Medicine where he was inducted in the Alpha Omega Alpha Honor Medical Society during his Junior year and received numerous awards including the Benjamin and Mary Siddons Measey Foundation Scholarship, and the Waldo E. Nelson M.D. Pediatric Award. He then completed his Pediatrics Internship and Residency at Rainbow Babies and Children’s Hospital/ Case Western Reserve University where he was again acknowledged with several awards and commendations for his patient care. Dr. Trucco’s Pediatric Hematology/Oncology training was completed at Johns Hopkins University and the National Cancer Institute. Upon completing his fellowship training, Dr. Trucco was recruited to Texas Children’s Hospital and awarded a coveted position in the K12 Faculty Fellowship in Pediatric Oncology Clinical Research. 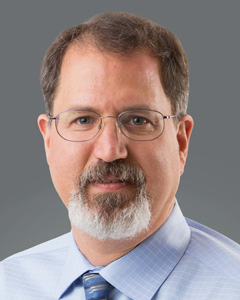 During his four years as faculty at Texas Children’s Hospital, Dr. Trucco obtained a Certificate of Added Qualification in Clinical Investigations and was an active member of the Pediatric Oncology Phase 1 team as well as the local PI for industry sponsored clinical trials and studied the altered metabolism of pediatric bone tumors and how to use these alterations to develop new therapies for these cancers. Dr. Trucco has numerous peer-reviewed publication and runs several clinical trials studying new treatments for childhood cancers. He is actively developing additional trials testing innovative strategies to develop more effective and less toxic therapies for children with cancer. In addition to taking on the responsibility for the coordination and management of Sylvester's pediatric early phase clinical trials, Dr. Trucco is the only Pediatric Sarcoma specialist in Southern Florida and has served as a consultant to and received referrals from Pediatric Oncology colleagues throughout Miami-Dade, Broward and Palm Beach counties, as well as several Caribbean and South American countries.